A lot of planning and preparation is needed before opening a new bar - whether you’re going solo or opening a bar franchise location. Here are tips to consider. Of course, the first step you should take in that circumstance is to call a cab, get yourself home, and sleep on it. Buying a business (not to mention running it successfully) is not the kind of decision you want to make after a few beers. Think about it again in the morning with a clear head. Most of us will end up laughing at ourselves and moving on with our existing life goals, realizing it was just the beer talking. But if owning your own bar turns out to be a true passion you want to pursue, the following tips could be just what you need to make your dreams a reality. One of the first items you’ll need to seriously consider is whether you’re interested in starting from scratch with your very own independent bar, or hitting the ground running by buying into a franchise operation. Bar franchises have become more popular in recent years, especially in major metro areas and hot tourist destinations across the U.S. Of the nearly 70,000 bars and nightclubs currently operating in this country, “Almost all ... consist of a single operation, although the industry includes some regional chains and franchises. Tourist destinations can be good locations (for franchises,) since vacationers tend to visit bars and nightclubs” more frequently. The recognizable name and branding can ease the startup phase. The franchisor should provide a lot of help and guidance, making everything from finding the best location to marketing easier for the new owner. The parent company will likely invest in more and/or more widespread marketing efforts than you could afford on your own. Every franchise agreement is different, and you can’t overlook the fact that there are costs involved in running a franchise location that tend to make them more expensive in the long run. So, if you’re considering buying a franchise bar, be sure you can be confident the benefits you’re receiving outweigh the costs when compared to going independent. NOTE: The following tips apply equally well to opening a franchise location or an independent bar or nightclub. The only caveat to remember is that a franchise agreement may place stipulations on your decisions in any or all of the areas discussed, so choosing to go with a franchise can potentially affect your flexibility when making those decisions. Build brand new or buy an existing location? 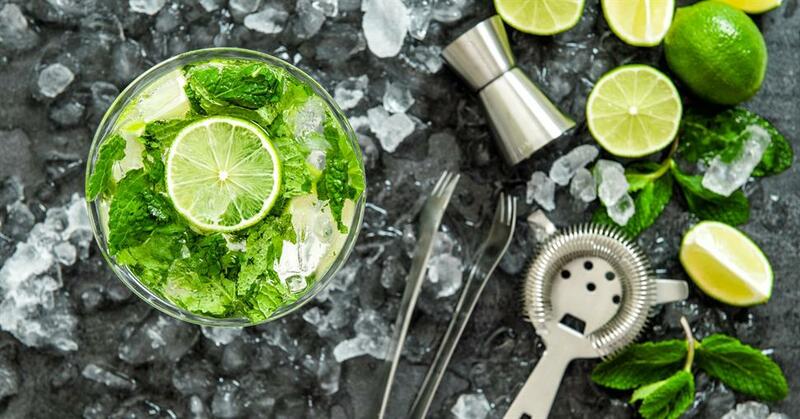 While the entrepreneur and adventurer in you may love the idea of building a bar from scratch, reality can sometimes feel like an unexpected splash of ice cold water. Multiple types of liquor licenses for various types of alcohol. To buy a liquor license from an existing licensee if your community issues a limited number of licenses. An entertainment license to provide TV programming, live music, or dancing. Most towns and cities already have plenty of competition for nightlife, so it can sometimes be difficult to locate the perfect combination of factors in an area with a large enough population to support a new bar. Buying a bar that’s already proven successful is a great option, where building a brand new bar proves too costly or difficult. If a bar is already successfully operating in a particular location, you can be fairly confident any and all complications described above have already been resolved by the current owners, so it offers a much easier and smoother start. How do you choose the best bar for sale and make it work? To determine which bar for sale is best for your wants and needs, and then lead that business to success, the following checklist offers a great way to make sure you’re covering all the most important bases. We recommend going through this list with the help of experts, including an experienced business broker, a local commercial real estate agent, a lawyer, and an accountant. With their advice and your due diligence, you should be in an excellent position to choose the best location and make a fair offer. Listing - A reputable businesses-for-sale listing is invaluable in your efforts. Local newspapers or business magazines and websites may not always offer adequate details, but national business listing services like BusinessesForSale should offer the widest range of listings available for comparison, especially if you’re considering a wide geographic area. Location - If you’re already married to particular town or neighborhood, you’ll have far fewer options to consider. That’s not necessarily a bad thing, it just means you’ll need to be patient while waiting for the right bar to become available in that area. If you’re not tied to a particular area, you’re in a better position to prioritize listings based on other important factors. Budget - Whether you’re considering a franchise or an independent location, buying a bar is going to require a fair amount of startup capital. But, it’s also important to note that the initial “cost” can include more than just the purchase price. If you’re taking over an existing location, you’re left with any branding or reputation issues the previous owner created. A franchise location should be clear of this problem, but be sure to investigate a chain’s reputation before committing to the purchase. You’ll also want to budget to cover at least six months of operating expenses when starting out. Legalities - Most bar owners are selling their bars for personal reasons: retirement, burn out, family responsibilities, or just deciding it’s time for a change. You’ll want to exercise caution, though, paying special attention to financial and personnel records of any bar you’re considering. Get with the local authorities to confirm any serious violations on record, ordinances or regulations the bar hasn’t complied with, and any other legal complications the current owner may not have mentioned. Personnel - Get to know the existing employees and managers early on. Try to determine if they’re the right fit for your business model. Review employment records and financials looking for potential savings. This is not the time to be sentimental. If part of the team needs to be let go so the rest can grow under your new ownership, now is the time to make that decision and act on it. Customers - Make just as much effort getting to you know the regular customers at your prospective bar as you do with the employees. Regulars will make or break your bar, and they’re also your most powerful marketing resource. Understand that they may be skeptical of new ownership, so gaining their trust and loyalty should be a high priority. Making changes - While overhauling a recently purchased business to make it your own sounds like fun, be sure that you’re making business decision rather than just indulging your personal preferences. Really, it’s the customer’s preference that needs to come first. Marketing - If you’re taking over running an already successful and profitable bar, you should be able to start out doing what the previous owner did to market the location, and you’ll be in fine shape. If it’s a franchise, you’ll likely have the help of the parent company too, so you can hit the ground running from startup on. But, if the bar needs help, or if you have upgrades or costly changes that are needed, you’ll want to boost the power and reach of your marketing program. As with any entrepreneurial effort, buying a franchise bar - even one that’s already successful - doesn’t guarantee financial or personal success. But, by following this advice learning all you can about successfully buying and running a bar, you put yourself in the best possible position to thrive as a bar owner.